With some 500 employees, the Lupp group is one of the largest and oldest construction service providers in Germany. For over 100 years, the company has had its headquarters in Nidda near Frankfurt, with firm roots in the German location while remaining in family ownership. Lupp is active internationally in all important markets in the world today, and a third generation stands for quality and competency in construction. The range of services covers the areas of development, construction, operation and thus covers the complete construction cycle management. A family-owned company is not controlled by quarterly planning, but also reflects longterm thinking that is characterised by tradition and continuity. Since its foundation in 1910, the Lupp group has been in family ownership and today, it still benefits from the interplay between innovation and longterm experience in the construction industry. Continuity in management which is presently carried out in the third generation of the entrepreneurial family provides security and motivation for employees and is the basis of longterm and close customer relationships. Partnership is the watchword and this is of particular importance to our customers. A low level of fluctuation and consistent contact employees of long standing together generate trust and continuity. Apart from good and committed employees, the basis of success is a company policy that is focused on longterm development and characterised by fair corporate actions. Our vision and its associated values such as partnership, responsibility, competence and quality are automatically a component of our corporate culture and guide our employees in all decisions. This reinforces our commitment to strive to be among the best in everything we do. Lupp shall remain Lupp for the next 100 years. Lupp stands for tradition in building services of the finest quality. It therefore goes without saying for us that we take measures to optimise our services and processes. Seamless documentation of processes and regular monitoring by independent authorities do not just prove the quality at every stage of completion but also confirm sustainable positioning for the future. All companies within the Lupp group are subjected to comprehensive quality management and certified to DIN EN ISO 9001. Apart from that, the quality of our group or the individual companies is substantiated by diverse further certifications. Health and safety has always had a high degree of importance at Lupp and in 2008, the building trade occupation association’s health and safety system “AMS-Bau” was introduced. 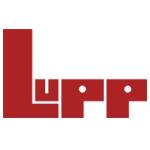 Lupp is a globally-active construction company with headquarters in Nidda near Frankfurt and firm roots in its German location. For more than 100 years, the company has remained in family ownership. The range of services covers the areas of development, construction and operation. Solidarity, honesty and reliability are the values that are lived on a day-to-day basis at Lupp with customers, suppliers, sub-contractors and our employees. These values form a vital part of our self-image. Great craft skills and technical competence as well as many years of experience in the planning and completion of our most challenging construction projects constitute our hallmark. They form the cornerstone of our successful company history. The social, regional and ecological responsibility take centre stage in our corporate actions. Our thinking and behaviour revolve around the idea of sustainability for our home region, for the regions where our projects are carried out, as well as for society and the environment. Lupp stands for tradition in building services of the finest quality. With professional skills and personal commitment, these high standards are met by our co-workers and partners. Adherence to schedules and flawless execution in each and every construction phase constitute the basis for a construction execution that is geared to quality. Tradition mit Zukunft – Seit mehr als 100 Jahren befindet sich die Unternehmensgruppe Lupp im Familienbesitz und steht für Qualität und Kompetenz am Bau. Mit 500 Mitarbeitern werden anspruchsvolle Bauprojekte in Deutschland, Europa und weltweit realisiert. Das Leistungsspektrum erstreckt sich über die Bereiche Entwickeln, Bauen und Betreiben und umfasst somit den gesamten Lebenszyklus einer Immobilie. Vor 100 Jahren begann unsere Unternehmensgeschichte: ein kleiner Familienbetrieb, das erste eigene Pferd, 10 Mitarbeiter. Damit wurde der Grundstein für eine Unternehmensgruppe, die unsere Region bis heute prägt, gelegt. Lesen Sie mehr! Sie haben Fragen zur Unternehmensgruppe Lupp, möchten mehr über unsere Baudienstleistungen erfahren oder wünschen ein individuelles Angebot? Dann nehmen Sie noch heute Kontakt mit uns auf. Wir sind sehr gerne für Sie da.